SMASHBOX Halo Hydrating Perfecting Powder - Give Me Gorgeous! 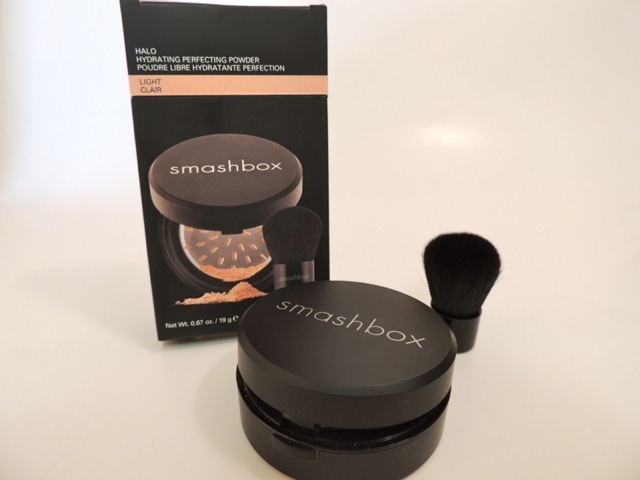 This face powder by Smashbox comes with a travel buki brush. It professes to dramatically reduce the signs of aging by providing hydration to the skin. The round plastic case has a lid that opens and clicks shut to close. 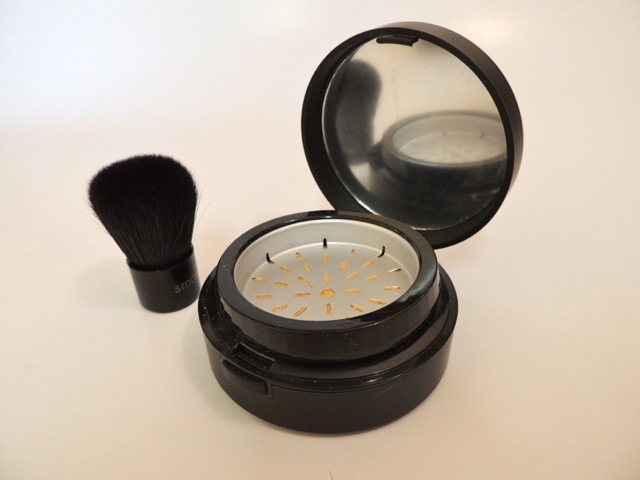 With each use, you twist the top part of the case to use a center silver plate with holes in it to shave the amount of powder you would like to use from the product within, so the user will not use too much powder in one application. It comes in several colors. My complexion does not get shiny when I use this powder, but my skin also does not get tight or dry. I use this product with a brush, and apply it to most of my face after moisturizer, a bit of concealer and foundation. It can also be worn over bare skin. Although it’s a bit expensive, I am very happy with it. be shared around the net. Shame on Google for no longer positioning this put up upper!